At Analytical Forensic Associates we offer analytical services for fire investigation support including Ignitable Liquid Residue Analysis, Vegetable Oil Residue Analysis, Wear Analysis of Vehicle Fluids (Engine Oil and Transmission Fluid), FT-IR Analysis, Chemical Identification and Analysis of Unknowns and Forensic Consulting and Case Review. For more than twenty years Analytical Forensic Associates has been a nationally recognized forensic laboratory specializing in the analysis of evidence from fire scenes. More specifically, our scientists have been actively involved in the development and standardization of new application processes relating to the recovery and identification of ignitable liquids from debris samples for more than thirty years. Our experience in the specialty of fire debris analysis, quality assurance and customer service set us apart. All fire debris evidence received by our laboratory by a forensic scientist and is analyzed in accordance with the most recent version of the ASTM Standard Test Methods (ASTM E1412 and E1618) which encompass the non-destructive technique for ignitable liquid recovery, known as passive headspace concentration and the instrumental identification technique of GC-MS (gas chromatography-mass spectrometry). For most cases, your written analytical test report is available the next business day and can be either emailed or faxed to you directly. Each report is peer-reviewed and undergoes a rigorous quality control process. No clerical or support personnel handles your evidence until the report is completed. The process of self-heating resulting in spontaneous ignition is well known and been recognized by fire investigators for years. Often times, vegetables are the chemicals that undergo that exothermic reaction resulting in ignition. Vegetable oils are composed of unsaturated fatty acids which are molecules that are not extremely stable. Polyunsaturated fatty acids, which have two or more double bonds, are considered as the least stable chemically and therefore have the highest propensity for self-heating. Hence, the more double bonds present in a fatty acid, the more chemically unstable it will be. Unsaturated and polyunsaturated fatty acids present in sufficient concentrations within an oil and under optimum conditions can undergo self-heating resulting in open combustion. The analysis of fire evidence for vegetable and animal oil residues is much different than analyzing samples for ignitable liquids. The analytical process involves the extraction of any remaining fatty acids from the debris sample with a solvent, transesterification into fatty acid methyl esters (FAME’s) and finally, identification utilizing gas chromatography-mass spectrometry (GC-MS). This analytical technique is considered destructive so we suggest that any non-destructive tests such as ignitable liquid recovery and identification be conducted prior to vegetable oil residue recovery and identification. As always, AFA requires written authorization prior to altering the evidence. Physical and Spectrochemical tests are used to measure the properties of the lubricants and to determine the presence of contaminant and a variety of elements suspended within a lubricant. The physical analysis measures certain physical characteristics of a lubricant such as viscosity, the presence of water, glycol, fuel dilution and neutralization number (total acid number and total base number). Variations in any of the lubricants physical characteristics from normal values may be indicative of component failure or severe wear. Spectrochemical analysis of lubricating oils is a technique for determining the presence of wear metals, contaminants and additives. Wear metals are the result of the friction between two or more metal surfaces causing small metal particles to become dispersed and ultimately so small that they are suspended within the lubricant. Different types of component wear include adhesive wear, abrasive wear, fatigue wear, cavitation wear and corrosive (chemical) wear. Contamination present in a lubricant can include different substances. Silicon, in the form of silicon dioxide or sand is one of the most common contaminants detected using spectrochemical analysis. Additionally, contamination caused by metallic soaps present in greases may result in elevated levels of barium and aluminum. Certain chemical compounds added to fuels, lubricants and coolants, commonly called additives, may reduce the rate at which that specific product deteriorates or changes over time and may also enhance or create new properties of the fluid. Detection of these compounds or metals may also be indicators of component wear. In order to determine as precisely as possible, the source of component wear and to interpret the analytical data it is important to provide as much information about the lubricant as possible. For each sample of lubricant submitted for analysis, please complete the Vehicular Fluid Wear Analysis Form. While we understand that this information is not always available, the interpretation of the results and conclusions may be limited. Fourier Transform Infrared Spectroscopy (FT-IR testing) is a tool for material and polymer identification. Materials have unique properties that can be identified through the absorption and transmission of infrared radiation as it is passed through the sample. The frequencies of the vibrations between the bonds of atoms in the material coincide with a spectrum resulting in absorption peaks that are unique to the material being tested. By comparing absorption frequencies to reference materials and other gathered data, we can identify material being tested. 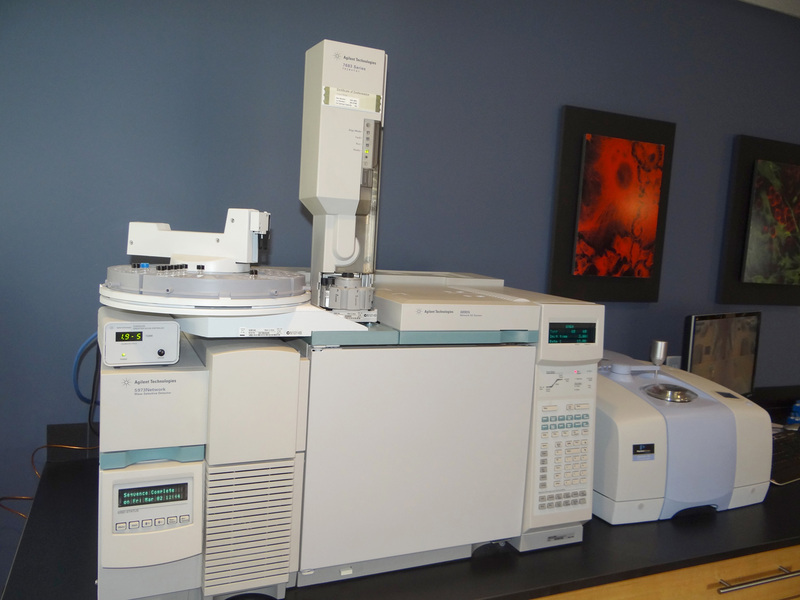 Analytical Forensic Associates uses an Agilent Cary Series 630 Fourier transform infrared spectrophotometer. The Cary FT-IR is versatile, innovative, and intuitive, providing superior quantitative and qualitative information for routine analysis of solids, liquids, and gases. Infrared radiation (4000 to 400 nm) is passed through or reflected off the surface of the sample and a spectrum is collected. The resulting spectrum is then compared to standard reference materials in our extensive libraries or to product standards or suspect materials. Our FT-IR spectroscopy methods prove valuable in many fire investigation applications, engineering investigations, product failure evaluations as well as to numerous other industries. Additional advantages include simplicity, non-destructive sampling, high sensitivity, accuracy and reproducibility. 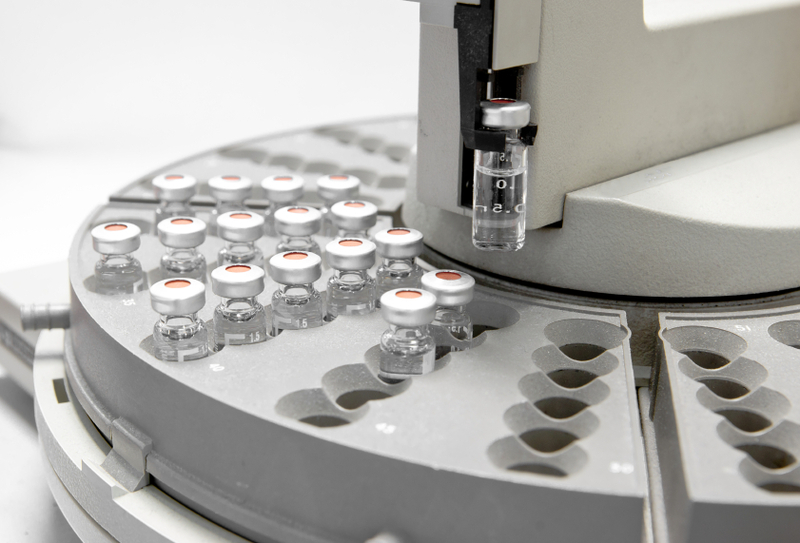 Although, FT-IR analysis is commonly utilized for plastics testing, it can be applied to a wide range of other compounds and unknown materials. Ignitable liquids are not the only chemicals the investigator encounters the fire scene. Chemical interactions or reactions of a variety of products in the home and in commercial and manufacturing facilities may result in exothermic reactions and ultimately open combustion. Through the evaluation of material safety data sheets (MSDS), examination and analysis of different products and materials using a variety of analytical techniques, Analytical Forensic Associates can provide valuable analytical data for your origin and cause determination. Analytical Forensic Associates delivers litigation support by providing objective evaluation and subsequent validity of the forensic scientific evidence through data review, assessment of analytical techniques and data interpretation, report review, re-analysis and testimony. With the advent of CSI and an increased awareness in the field of forensic sciences in popular culture, it is often times necessary to educate and ultimately discharge many preconceived misconceptions. At Analytical Forensic Associates we have the skill sets, knowledge level and courtroom experience to provide this support. Please call for our fee schedule.